One of the great mysteries of the Christian faith is tied to the sacraments of the church. Depending on which church you attend there may be a variance in how many sacraments are observed and practiced. But, regardless of what church you attend two have remained central and essential to all–Communion and Baptism. I would like to talk about this second one today. I spent eight years serving in two United Methodist churches and in the greater life of the annual conference they reside within. In that time I was introduced to the Wesleyan family and theological formulations. I learned a great deal during my time serving in these churches, but I will not be going into too much detail here. What I would like to share is the one aspect of theology that I was exposed to and came to appreciate more deeply as a result of my journey with the people called Methodist. I had always seen the sacraments as something “we,” the participants, did because of what we believed or had experienced. There is nothing inherently wrong with point of view. There are many people who hold this view, commonly described as memorialism. There are several other perspectives that are held by various branches of the church, but as I have studied and investigated these others understandings of the sacraments I found the Wesleyan way made the most sense. For Methodists, the sacraments are a Holy Mystery. While some churches try to explain the “how” of the sacraments, the UMC church just accepts the mystery of the sacrament. What is happening can’t be explained, it must be experienced. While I can try and explain my beliefs and theological positions, there are some things that will forever remain outside of our ability to understand. Seeing the sacraments as mysteries that God has given to us to experience and enjoy has changed my appreciation of these moments. I came across this video by Carrie Underwood today. As I listened to it I was struck by two things. First, I was impressed by the lyrics, I am always impressed with good writing. I enjoy writing, but I will not compare myself to the wordsmiths who tell amazing stories is such condensed formats like a song. Second, while I was listening, I was moved to tears. I do not know what it was exactly. But, there was something in the words that reminded me of my own baptism. The my mind was taken back to that moment when I went into the waters as a 14 years kid. I distinctly remember the feeling of the water enveloping me as I went in, and releasing me when I came out. What I do remember is that something change when I cam out of that water. Take a listen. 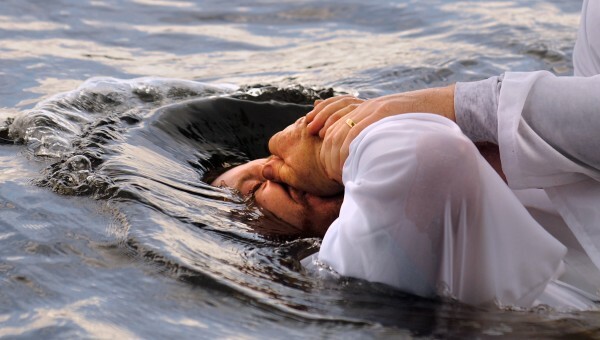 Think back to your baptism. And, if you are up for it share your story! My marriage is a preteen… how did that happen?